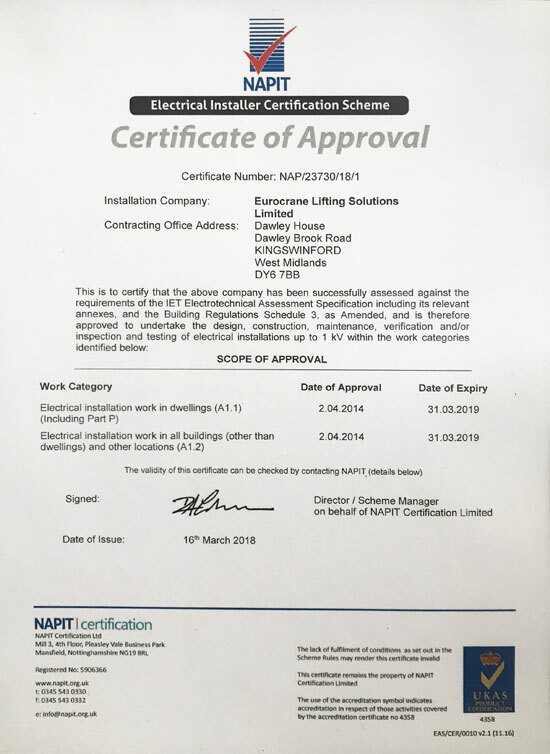 Eurocrane's dedicated electrical division Eurocrane Electrical Solutions has been accepted as a member of the National Association of Professional Inspectors and Testers (NAPIT) and has been placed on the Full Scope Part P Register for Approved Installers. Congratulations to all the electrical team especially our head of electrical division Mark Randell who co-ordinated the accreditation. NAPIT accredation ensures Eurocrane ability, competence and workmanship are regularly assessed to ensure we meet the high standards required by the Association and TrustMark. 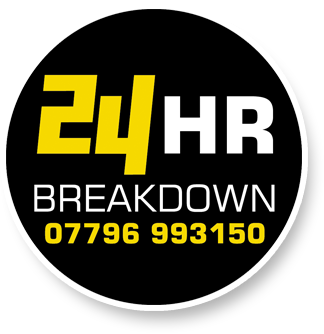 If you have any electrical requirements call us today on 01384 400553 to see how we may be of service.